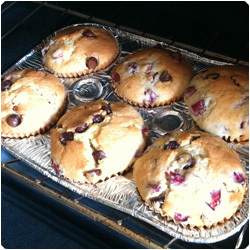 Delicious muffin from Maddi! 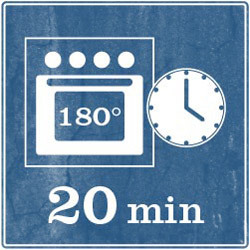 "La cena è pronta"
Let's start by pre-heating the oven on 180 degrees. 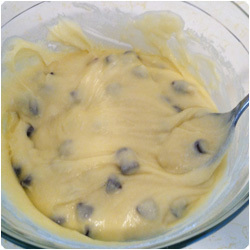 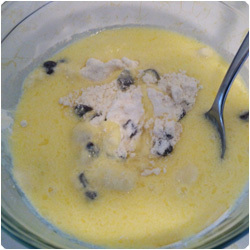 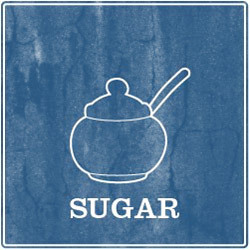 Put in a bowl the flour, the sugar and the baking powder and the chocolate chips, and mix them with a spoon. 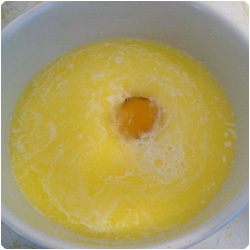 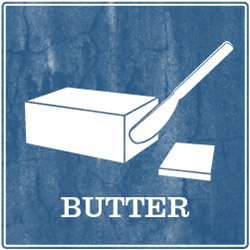 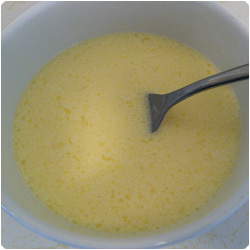 In another bowl put the melted butter, the milk an the egg and mix it well. 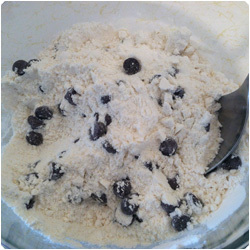 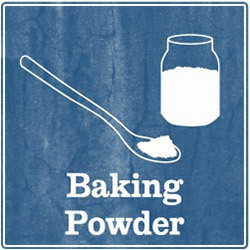 Now add the liquid ingredients to the flour mixture bowl and mix well until it get homogeneous. 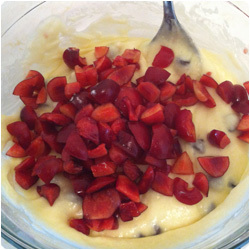 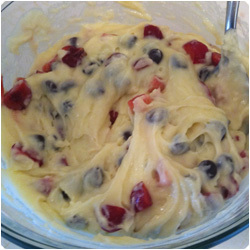 Now cut the cherries in pieces and add them to the mixture. 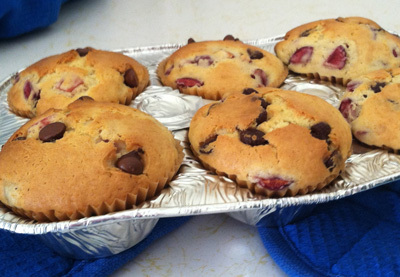 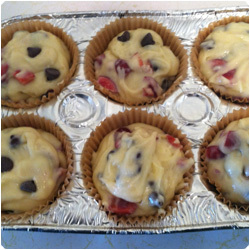 Mix well and then fill with this mixture 6 paper baking cups in a muffin oven pan. 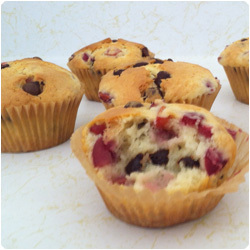 Bake them for 15/20 min in the oven 180°C (360F). 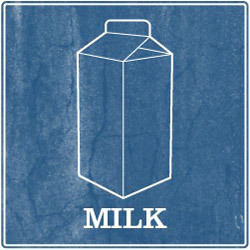 Serve them cold.